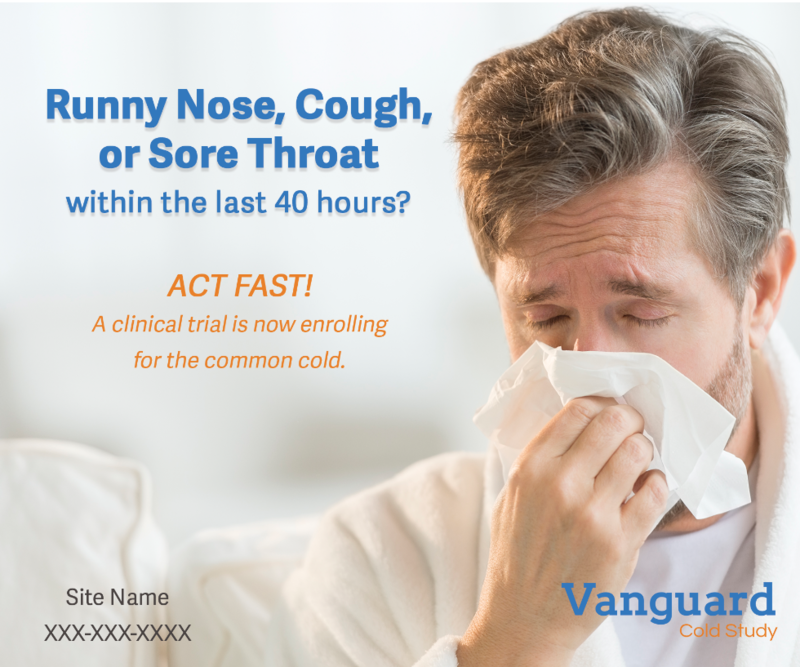 Are you experiencing symptoms of a cold, such as runny nose, cough or sore throat within the last 40 hours? conducting a clinical trial for the common cold. Have had a runny nose in the last 12 hours. Have cough, sore throat or nasal obstruction. Have onset of symptoms for less than 40 hours.